After 89 days orange picking, we celebrated our new-found freedom with a week in Adelaide during festival season. We were excited to explore somewhere new for the first time since the previous November, three months earlier. 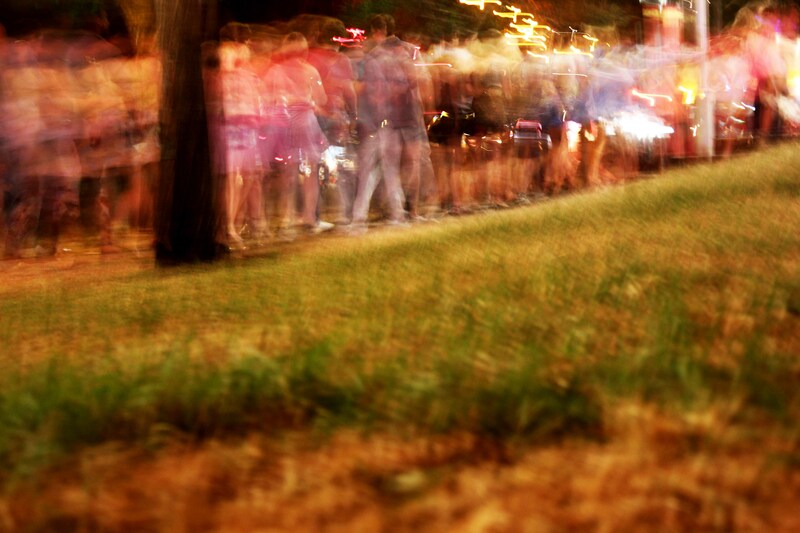 We checked out the markets, Chinatown, North Terrace and ‘Slapple’, a fringe venue. 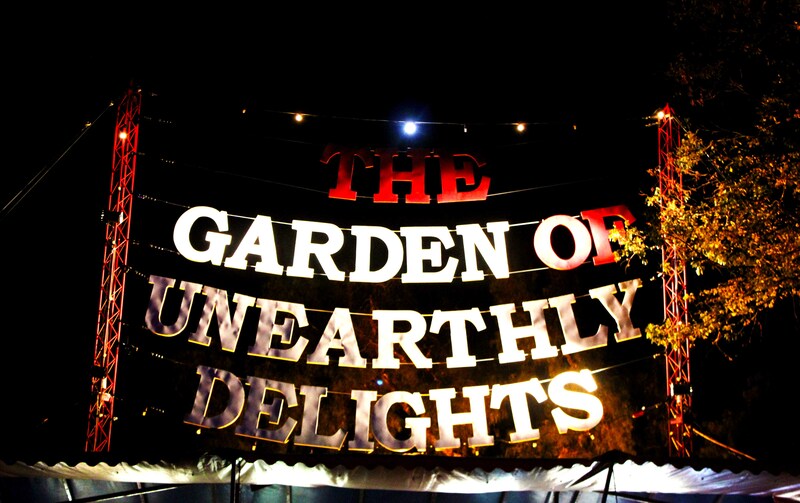 We watched street performers on Rundle Street and wandered to the Garden of Unearthly Delights, a really cool garden festival which looked like it would be even better at night. When the heat finally died down we met up with friends from our hostel and others from our orange picking days and headed to a club. 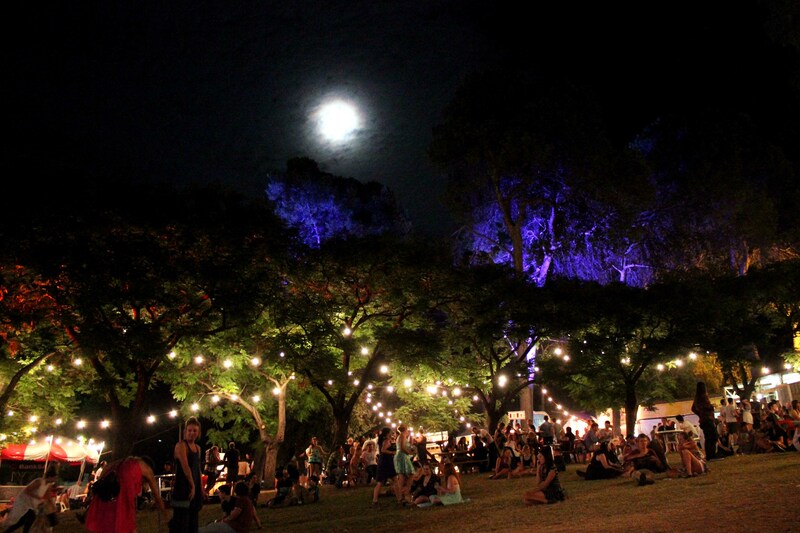 Before long we felt the need to check out the Garden of Unearthly Delights at night and it was so cool. 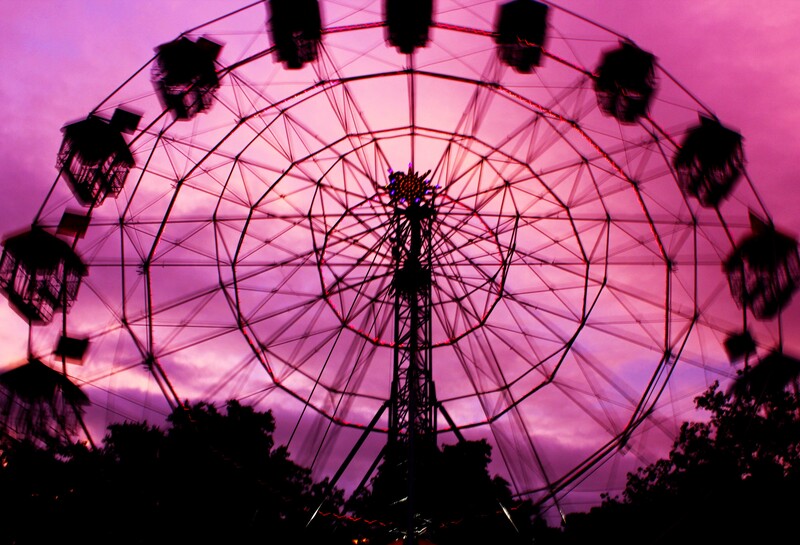 It reminded me of the Edinburgh Festival and indeed the Adelaide Fringe is second in the world only to Edinburgh, but the Garden of Unearthly Delights is in a league of its own. 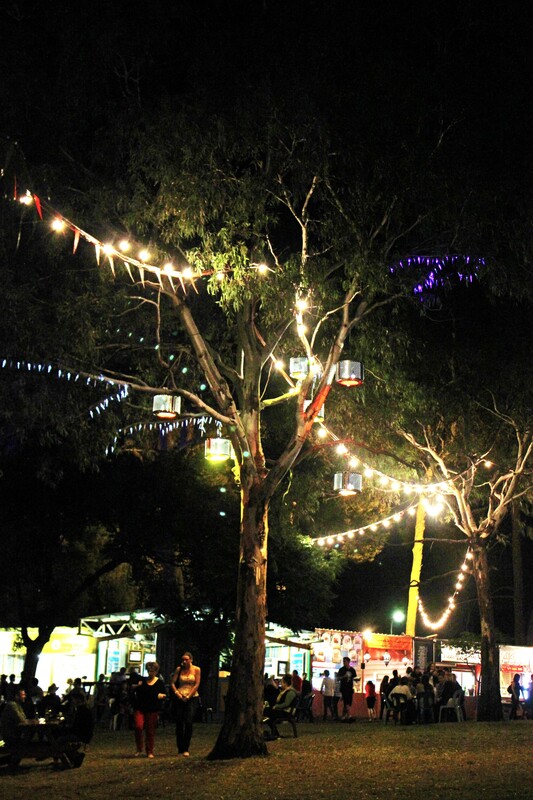 The circus tents, stalls, Ferris wheel and fairy lights in the trees create a magical atmosphere that is infectious and joyful. The following afternoon I began my work volunteering at the Australian International Documentary Conference and DocWeek. At a meeting in the Waves room of the Intercontinental Hotel, I learnt that there are only four key permanent staff and the rest of the crew come onboard just a few weeks before the conference. The next day the conference began and my first job was to help with floor logistics in the Ballroom, running the roaming microphone for the audience’s questions. I managed to see some pretty cool speakers and in the afternoon stage managed at the Palace cinema down the road. I even managed to get Jodes a ticket so she came to watch the opening night screening, an excellent documentary about the Adelaide Festival in the early sixties. Afterwards we attended the DocWeek opening party at the State Library – a very cool location. It was good to drink proper red wine after months of backpacker budget goon! The plan the next day was for me to stage manage the Palace cinema in the evening but it got complicated with ‘Pozible Pitches’ (like Kickstarter campaigns, they are a crowdsourcing technique where people make pledges prior to the screening of a documentary), filmmaker demands, several versions of the pre-film trail and the film itself. To keep things simple, I stage managed the Mercury and Iris cinemas at the other end of Rundle Street. It was the same deal but at a smaller venue and with no Pozible pitches on the first night, and I was able to build relationships quickly with nice people working at the venue. It all went pretty well; my job was primarily to manage and communicate between the projectionist, the venue manager, the filmmakers who were nervously introducing their films, the box office crew and the eager crowds. Again, I managed to get Jodes some freebie tickets and she saw Abendland, and before that Canning Paradise, a fascinating doc’ by Olivier Poiret on the worrying state of tuna fishing in Papau New Guinea, which she loved. The next day I helped in the ballrooms again in the morning, before stage managing a crazy six screenings at Mercury and Iris in the evening. I completed print moves (physically moving films across town on a memory stick) in the rain but was rewarded with a cool party at Tuxedo Cat in the evening, a very hipster-y venue. On the final day of DocWeek I helped out as usual in the ballrooms before heading to Mercury and Iris one last time. I managed to get Jodes into the fascinating Mary Meets Muhammad, an insight into the way asylum seekers are treated in Australia. We spoke to Olivier, the maker of Canning Paradise, afterwards and he was a lovely guy. The final highlight of the week was the keynote speech by Hollywood filmmaker Don Pennebaker who had many a story to tell. I got to chat to him at the end when we were leaving and he was a lovely, down to earth individual who was very easy to talk to. 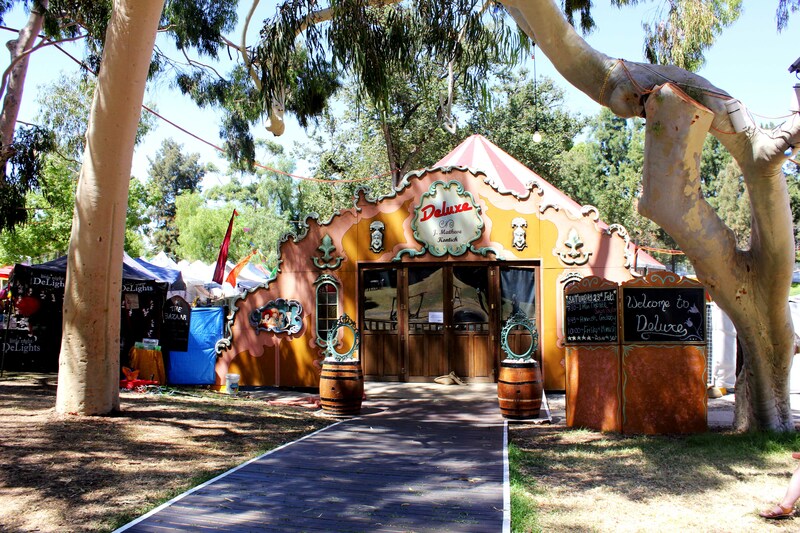 Jodes and I went to the Garden of Unearthly Delights one last time and celebrated with chips, cheese and gravy. 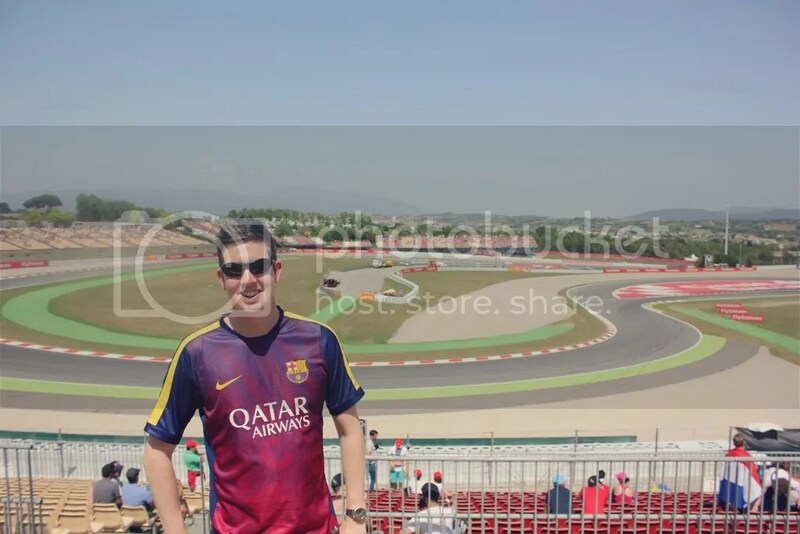 It’s certainly one of the coolest, most fun places I’ve ever been. 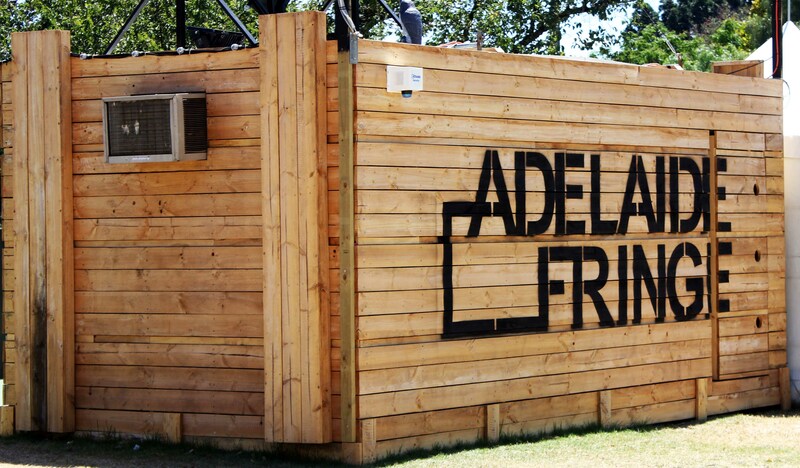 People talk about how Adelaide is a bit boring but when we visited during the festival, it was anything but. 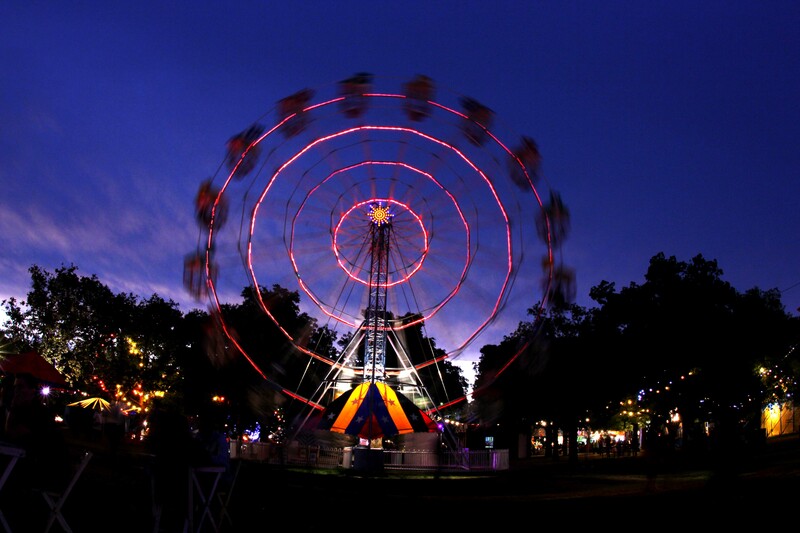 Immersing myself in one of the many festivals that are part of the Fringe made it a truly memorable experience at a time when the city was absolutely buzzing. I was lucky enough to work at FIFA World Cup Qualifiers, AFL games, P!nk concerts, Melbourne’s Run For The Kids Fun Run and the Melbourne International Comedy Festival for a month a few weeks later and again got to meet and chat to some brilliant performers like Nik Coppin. Events and festivals like these in Australia are brilliant not just to visit but to get involved in, and I’d recommend it to anyone. 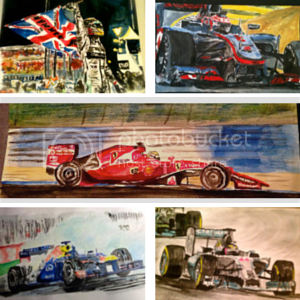 This entry was posted in Australia, Travel and tagged Adelaide, Australia, Travel, Travel Stories. Bookmark the permalink.